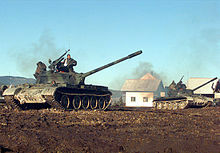 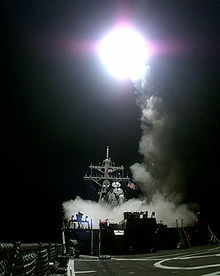 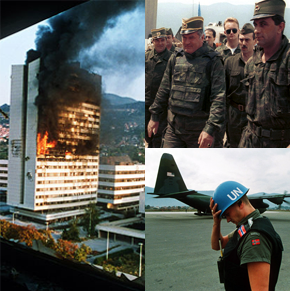 The Croatian War of Independence was fought from 1991 to 1995 between Croat forces loyal to the government of Croatia—which had declared independence from the Socialist Federal Republic of Yugoslavia (SFRY)—and the Serb-controlled Yugoslav People's Army (JNA) and local Serb forces, with the JNA ending its combat operations in Croatia by 1992. 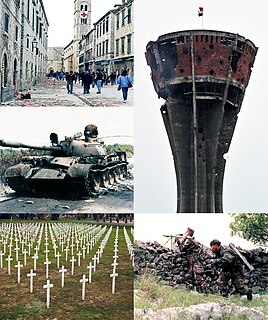 In Croatia, the war is primarily referred to as the "Homeland War" and also as the "Greater-Serbian Aggression". 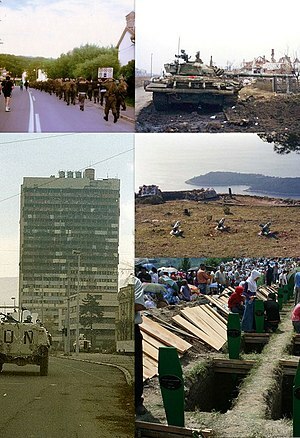 In Serbian sources, "War in Croatia" and "War in Krajina" are used. 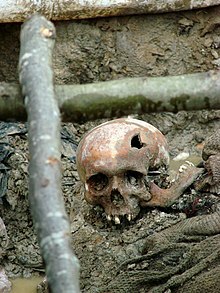 Manjača camp (pronounced:Mañacha) was a prison camp which was located on mount Manjača near the city of Banja Luka in northern Bosnia and Herzegovina during the Bosnian War and the Croatian War of Independence from 1991 to 1995. 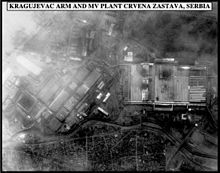 The camp was founded by the Yugoslav National Army (JNA) and authorities of the Republika Srpska (RS) and was used to collect and confine thousands of male prisoners of Bosniak and Croat nationalities. 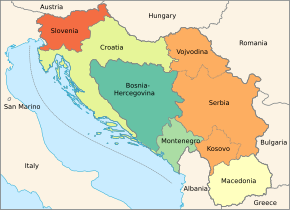 Borisav Jović is an economist, former Serbian and Yugoslav diplomat and politician, who was Yugoslavia's ambassador to Italy from the mid to late 1970s, was the Serbian representative of the collective presidency of Yugoslavia during the late 1980s and early 1990s, was the President of Yugoslavia from 1990–91, and was a leading figure in the Socialist Party of Serbia in the 1990s. 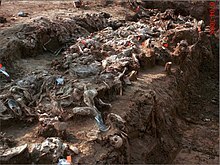 The Višegrad massacres were acts of mass murder committed against the Bosniak civilian population of the town and municipality of Višegrad during the ethnic cleansing of eastern Bosnia by Serb police and military forces during the spring and summer of 1992, at the start of the Bosnian War.